For those of you looking to add some Budda Boom Budda Bing to your home, you’ll be just as excited as we are about the new Mario in Minutes online ordering application from East Side Mario’s. Since we finished redesigning the restaurant and helped East Side Mario’s to develop their new website, we’ve been working with them to help communicate their takeout and delivery platform. 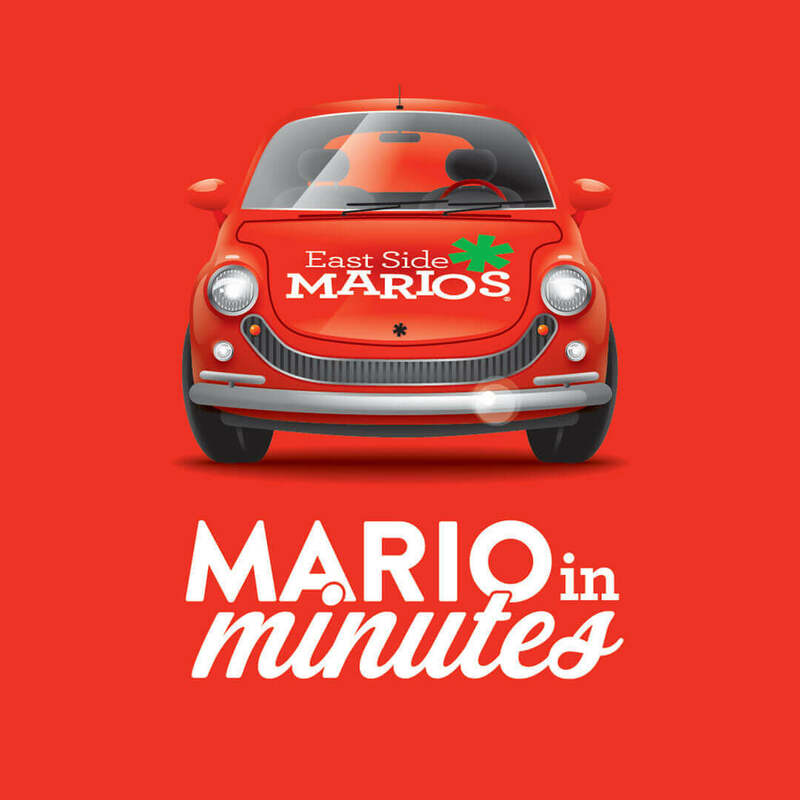 We developed Mario in Minutes, a fun brand that speaks to the authenticity and speed of their takeout and delivery service through graphics that include Vespas and Fiats, with a splash of the tomato that has been a staple of the brand for so many years. Once we had established the brand architecture for Mario in Minutes, we then rolled it out to different media, including the latest launch, the Mario in Minutes online application. With it, customers can now order on their desktop or mobile devices, and monitor the progress of their order through a tracker that lets them know what stage of the process their order is at, and the estimated time of delivery/pickup. We developed the look of the call to action on the website as well as graphics for the desktop and mobile app. The tracker uses the dials and gauges on the handles of a Vespa to indicate details about the order, in keeping with the modern Italian interpretation of the East Side Mario’s brand. Mario in Minutes launched this week on the East Side Mario’s website. Give Mario a click today, and let us know what you think!